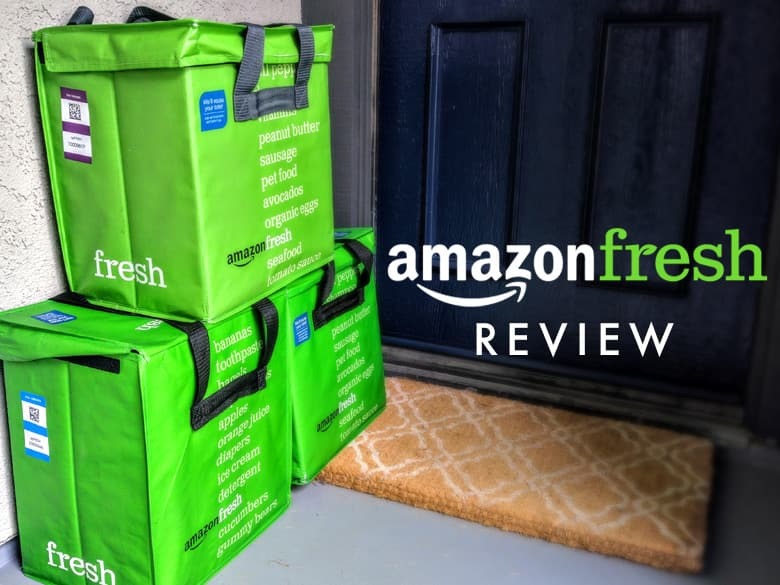 AmazonFresh Review: Is this Grocery Home Delivery Service Worth it? 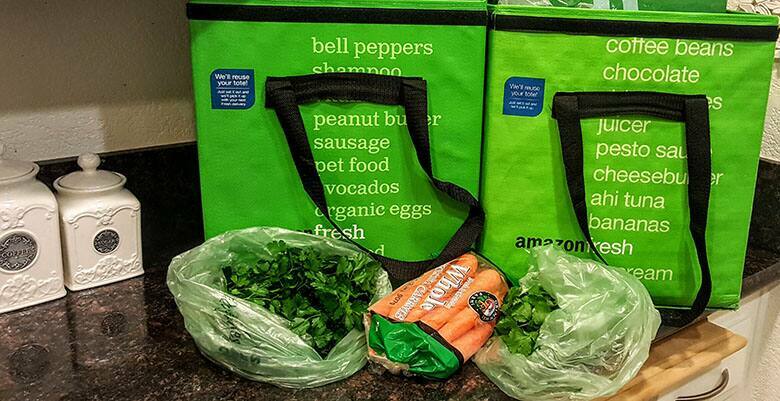 We tried out AmazonFresh for a month to find out if it's really worth the cost. Shopping for groceries can be really time-consuming, and while convenient and fast meal options may come cheap, they also tend to be pretty unhealthy. Luckily, more and more options are popping up to help maximize the value of your time. AmazonFresh was started in 2007 (in limited markets) by the world’s most popular online marketplace, and aims to deliver you fresh ingredients at a price and time that works best for you. Also, as a result of Amazon acquiring Whole Foods, you can order Whole Foods items through AmazonFresh. AmazonFresh currently delivers to shoppers in Boston, Baltimore, Seattle, Stamford, Philadelphia, Dallas, Chicago, New York metro, Northern Virginia, London and parts of California and New Jersey. However, as of November 2017, Amazon reduced their coverage areas in many of these cities and states. People in New Jersey, Pennsylvania, Virginia, New York, Maryland and California have reported AmazonFresh no longer being available, but it seems to be tied to specific zip codes/areas and not entire states. I decided to give the service a try recently, and here's what I found. How Much Does AmazonFresh Cost? To start, you'll need an Amazon Prime membership to access AmazonFresh. From there, it will run you $14.99 per month, or $179.88 per year, in addition to your $119 annual Prime membership. This adds up to around $298 annually. Previously, the Amazon Fresh service required users to pay $299 up front for a year of service (which included Amazon Prime), but in late 2016, Amazon made it possible to pay monthly instead. Additionally, delivery is free for orders of at least $40; orders of less than $40 have a $9.99 fee added to the total. 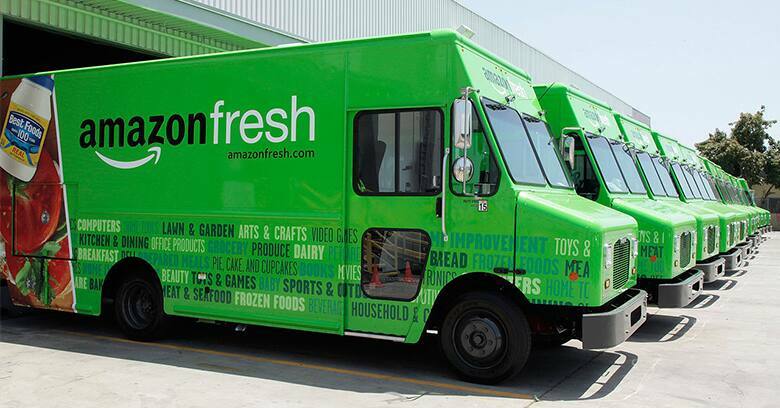 You'll get your first month of AmazonFresh for free and the service is easy to set up. As far as the cost of the groceries goes, produce through AmazonFresh was around 25% to 50% higher than my local Vons grocery store. A bundle of celery, for example, cost $2.49 through Amazon and only $1.99 at Vons. On the other hand, packaged products like Doritos cost $4.49 at Vons and just $3.98 on AmazonFresh, while Philadelphia Cream Cheese was $3.99 at Vons and $2.99 on AmazonFresh. On average, I found that packaged foods were 15% to 30% cheaper, which helped shift the total average cost closer than I had expected. After comparing several orders, the average cost of goods on AmazonFresh was less than 10% higher than that of a traditional grocery chain. If you're familiar with browsing and shopping on Amazon, you should have no issues locating items in Fresh. Items in the grocery delivery service are broken up into traditional store categories, such as “Breads & Bakery,” “Deli,” “Produce,” etc., and you can even narrow down food results based on things like “Kosher,” “Gluten-Free,” or “Organic.” Here in the Los Angeles area, they even had a section titled “Local Market,” with specialty items from local spots, such as The Cheese Store of Beverly Hills. Once you have a cart full of AmazonFresh items, just reserve a delivery time and check out. You'll be prompted to choose a delivery day (based on availability) and select either "Doorstep Delivery" for a three-hour delivery window which you do not have to be present for, or "Attended Delivery" for a one-hour window when you will be available to take the delivery. Nearly all of the time slots during the week were open for each of my orders, making delivery quite convenient. I opted for Doorstep Delivery in each of my three test orders and had no issues with the USPS truck rolling up and dropping off our bright green insulated bags. Each AmazonFresh bag is made of durable plastic and includes ice packets to help keep your produce fresh until you bring the order inside. You can leave delivery bags outside to be picked up during the next order. The produce quality from Amazon's food delivery was surprisingly good. I ordered an array of broccoli, tomatoes, carrots, celery, onions, ginger and more. Each and every one was without blemishes, and seemed to be hand picked to make sure it was of the highest quality. Your mileage may vary depending on your location of course, but I had no problems with any produce delivered throughout the month. However, I did have a problem with a couple items not being available for a week, including packaged broccoli florets and a bag of avocados. This first world problem simply led me to get whole broccoli and abstain from guacamole for a bit. But for the most part, each packaged and produce item showed up without the damage or flaws one might be concerned about with a delivery service. One downside of AmazonFresh is that they don't accept traditional coupons like you'd use at most grocery or department stores. However, a growing number of brands are starting to work with Amazon to offer the discounts and bulk deals. The deals seem similar, if not better, than traditional coupons. For example, we saw a Canada Dry promotion to try their new Ginger Ale and Lemonade for only 1 cent. Other Amazon coupons included a "Buy 2, Save $1" on all Oreo Cookies and a "Buy One, Get One Free" on Gerber organic baby food. There's even an entire section of the Amazon site dedicated to Fresh coupons and a weekly Fresh Newsletter that shares the latest deals. Somewhere around 1,000 Whole Foods products are available to order through AmazonFresh, with more on the way. Most of them seem to be Whole Foods' "low cost" 365 brand. You'll find that product selection varies quite a lot by category. For example, you'll see a decent amount of options for beverages, frozen goods, cereal, cooking & baking and snack foods. However, there's no fresh meat or produce available in the Whole Foods section of AmazonFresh at this point. What's the Best Grocery Delivery Service? The above table is a price comparison for AmazonFresh and three other prominent online retailers. While costs and fees are important factors, convenience and availability are crucial aspects you should take into account when deciding which service to use. Google Express has removed their produce delivery and now only offers dry goods and products from stores like Walmart, Target, Costco, and more. The minimum price for orders to include free shipping can vary by store, but is generally a $25 or $35 minimum. This may seem like a cheaper option, but you have to consider the fee per store and make sure you don’t spread your orders out across several locations. Additionally, the relatively limited dry goods options and lack of produce may remove this as an option for some shoppers. Instacart is another popular same-day delivery service operating in an expanding list of cities across the country. Prices range from $5.99 for a two-hour delivery window to $9.99 for a one-hour delivery window. Alternatively, they offer a membership fee of $149 per year to waive the delivery fees. The annual pricing is lower than AmazonFresh, and could be a good option, especially if you live in a region where AmazonFresh is not available. However, you should keep in mind that Instacart has an atypically high mark up on products compared to other services, and more service fees. And as with Google Express, Instacart charges a delivery fee per store, so it makes the most sense to get everything from one place. You could also check out the Shipt app, which is growing on the East Coast and in Texas, and offers similar features to AmazonFresh with a yearly membership for $99 or a monthly membership for $14. Shipping is free for orders of at least $35, but the company mentions an average product price increase of around 15%. Shipt continues to expand, but with limited stores and the increased cost of groceries, this program may not be the best option for you. With the increased cost of Amazon Prime, the annual cost of AmazonFresh is just about back to the original $300. This may not be a problem for those that frequent Amazon and are going to pay for the cost of Prime regardless. At $14.99 per month and no delivery fees (assuming each order is at least $40), there's definitely a lot of appeal for busy folks looking to get their groceries delivered through AmazonFresh. With reasonable membership fees and one of the biggest available markets, Fresh might just beat out the competition depending on where you live and how you shop. If you are a current Prime member and can get AmazonFresh in your area, I think it is certainly worth a try. Have you tried any of the grocery delivery services? Let us know your thoughts in the comments. Give AmazonFresh a try today and get $25 off $100 with code FRESH25! Photos courtesy of Nolan Browning and Amazon. Nolan is an avid automotive, electronic, and gadget enthusiast. If it has an engine or a processor, he can't keep his hands off it. He was introduced to Windows 3.1 in the early '90s and has been hooked ever since. Deal alerts include "mechanical keyboard," "smart watch," and "bulk candy."